Safiya J. A. Hodari, AIA on-site at the Fort Wayne VA Medical Center. Image: Megan Carleton. Pittsburgh relies on many different partners, advocates, and allies to build more sustainable, diverse, and vibrant communities. 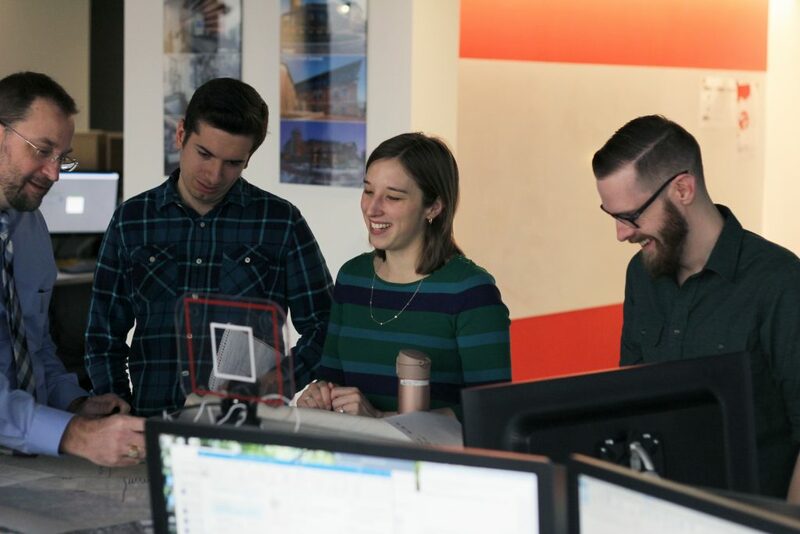 This March for Women’s History Month, AIA Pittsburgh and Point Line Projects have highlighted woman-owned firms in Pittsburgh, reported on the newly revitalized Women in Design group, and channeled the spirit of Pennsylvania’s first licensed woman architect, Anna Wagner Keichline. In this final article in our series, done in conjunction with NOMAPgh, we’re looking forward, shining a spotlight on a generation of emerging women designers who are already changing the face of Pittsburgh’s design scene. Beyond calling Pittsburgh home, they’re also energized around issues that they see as fundamental to their practices. Read below to see how these 10 designers are shaping the future of social justice, new kinds of architectural practice, and positioning Pittsburgh as a hub for innovative design. Victoria Acevedo, Assoc. 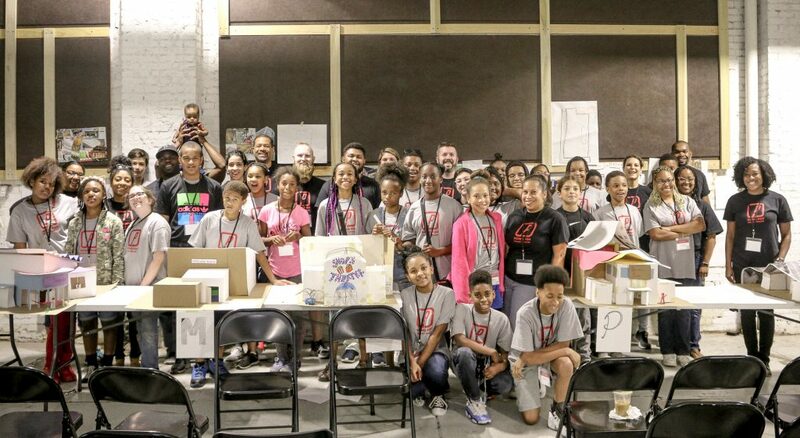 AIA, mentoring elementary school students at NOMA PGH’s Project Pipeline Architecture Camp. Image: Nic Lockerman. Describe the most significant turning point in your career. A significant turning point in my career is the moment I truly acknowledged that there really is a shortage of underrepresented minorities in the profession, not only in Pittsburgh but nationally. 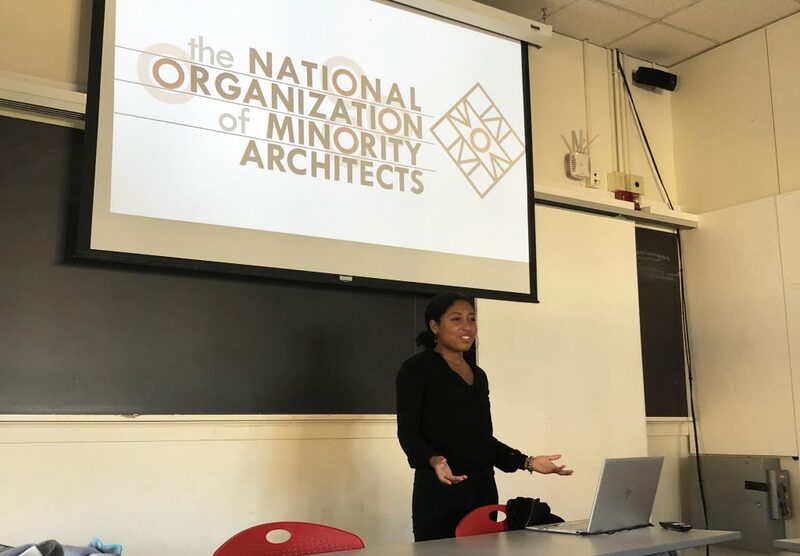 It was time for me to take responsibility, engage in professional communities that supported my values and help redefine what it means to be a minority in the Pittsburgh architecture community. As Vice President of NOMApgh and a young woman designer of color, it is my personal goal to make sure that others are supported in their professional careers and to encourage colleagues to be present and actively participate in our architectural community. Architecture is not a profession that you master immediately. It takes 20-30 years to develop into a well-rounded architect, so slow down and enjoy the process of learning. Do the best you can with what you have now. What is the worst piece of advice you have ever received? Straightening your hair will make you better at your job. 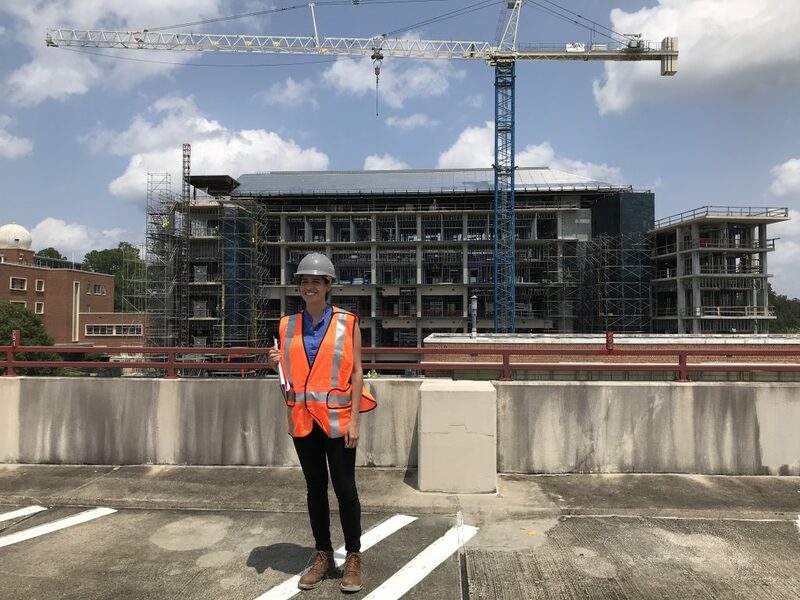 Victoria in a job site photo taken for her mother at the Earth Ocean Atmospheric Science Building at Florida State University. Image: Natalie Gentile. Featured Project: The Earth Ocean and Atmospheric Science Building at Florida State University in Tallahassee, Florida, to be completed Fall 2020. Fresh out of school, I was given the opportunity to develop the exterior of a prominent campus building. This meant not only detailing and understanding the different conditions (which I certainly did), but exploring and further redefining large and exciting architectural moves. 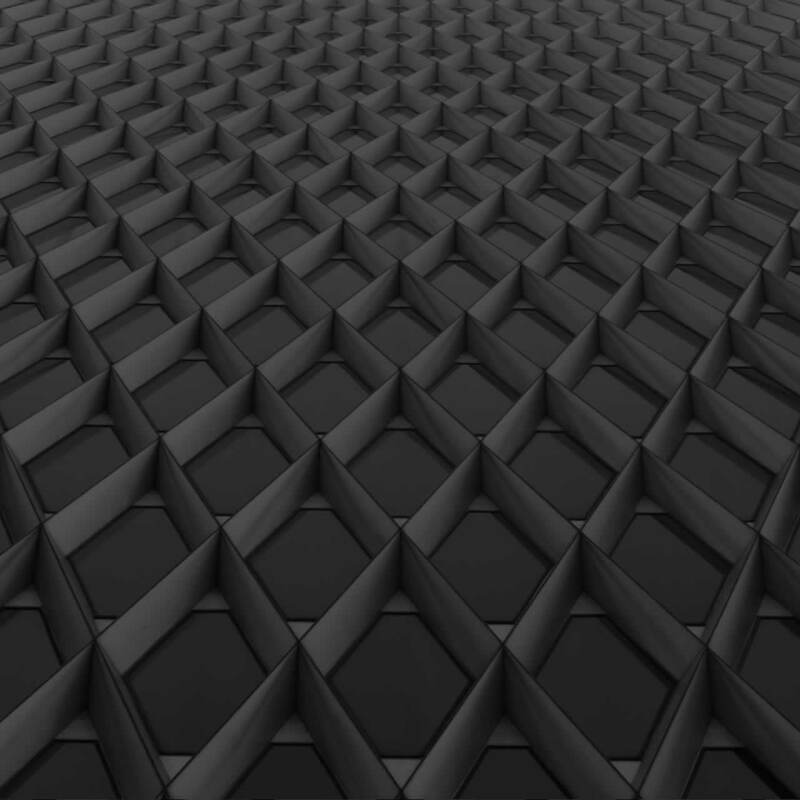 This was my first project, and I am proud to say I can see my hand at every turn. Alicia Volcy, Assoc. 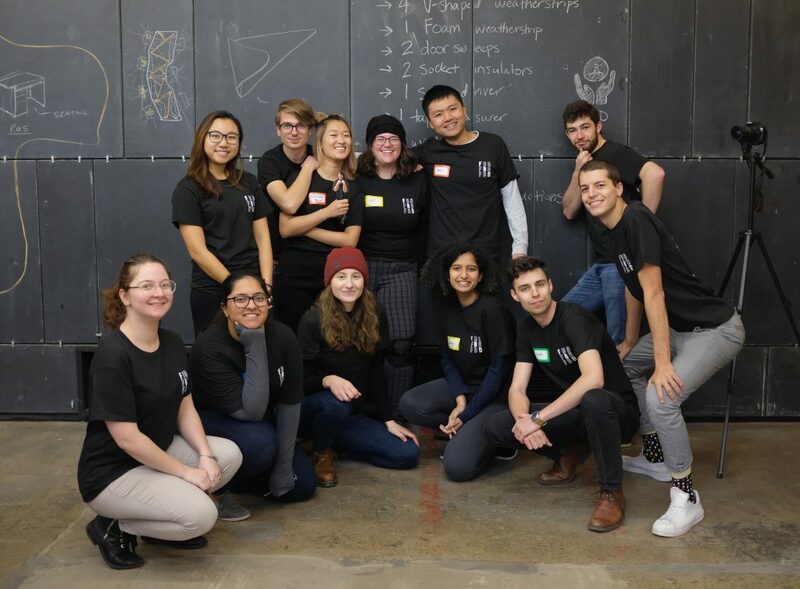 AIA, far right, at the NOMA Pittsburgh Project Pipeline Architecture Camp July 2018. Image: Riccardy Volcy. Project Designer at IKM Inc.
What was the most significant turning point in your career? I was asked to give a speech about my UDREAM experience at the Pennsylvania AIA Leadership Conference in 2015. The thought of public speaking used to make my soul itch, but I was able to push past that discomfort and turn it into an opportunity to offer a new perspective. Using my voice and allowing myself to dive into projects that make me uncomfortable has been vital in my growth in the office as well as my service work in the community. West Virginia University Medical Operating Room Expansion in Morgantown, WV. Photo: Adam Warner, IKM. 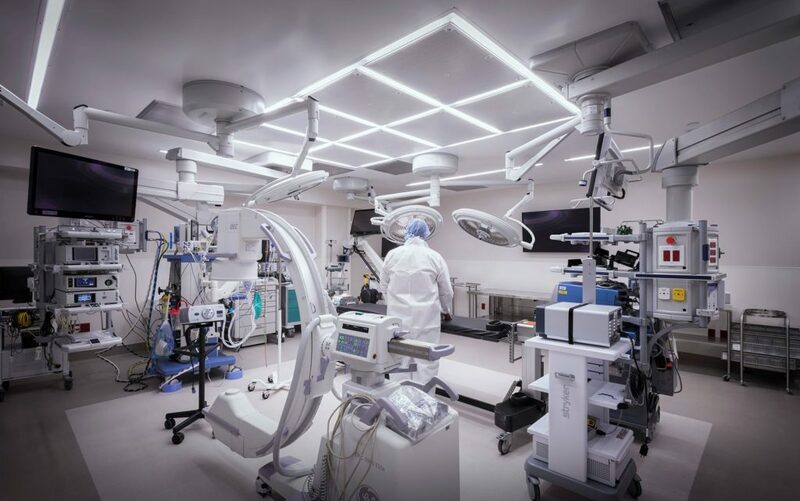 Featured Project: The West Virginia University Medical Operating Room Expansion in Morgantown, WV. I had very little healthcare experience at the start of the project but I managed to help turn a wing of anesthesia offices into four operating rooms with support spaces. Allison Katz (top center) with Carnegie Mellon’s Freedom By Design Chapter. Image: Amy Rosen. 4th Year B. Arch Student at Carnegie Mellon University School of Architecture. What is the mission that drives your work? Green architecture made me want to study architecture, but public interest design made me fall in love with architecture. 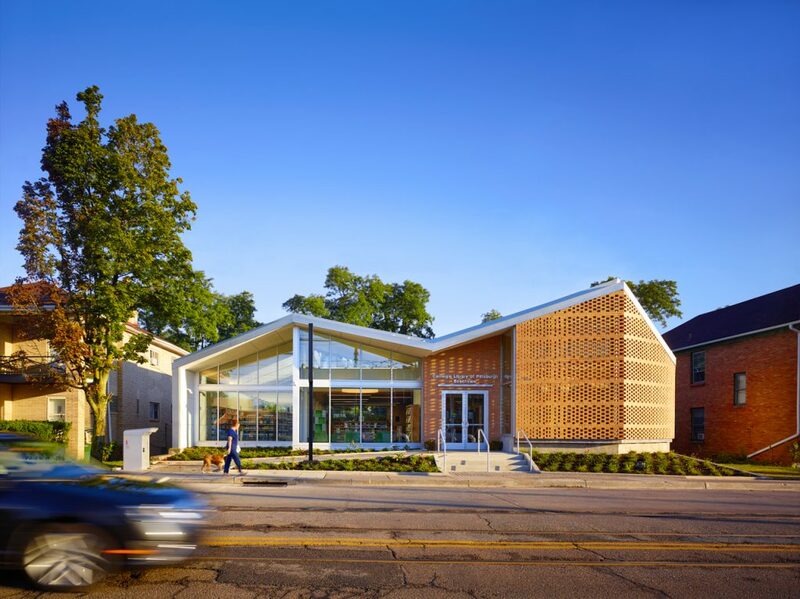 Realizing that the built environment is something that affects a community’s culture, access to opportunities, and overall health, I see architecture as a tool that I can wield to empower others. Allison Katz assembling weatherization kits. Image: Alex Lin. Featured Project: Carnegie Mellon’s Freedom By Design Chapter assembled weatherization kits for people in need from the Larimer neighborhood in Pittsburgh. These kits provide the materials and information necessary to perform easy energy and cost-saving initiatives. Weatherization kits contain door sweeps, window plastic, weatherstripping, electrical socket insulators, and an instructional booklet. The booklet is a resource not only for those who receive the kit but can be passed on to those who we are not able to initially reach. Kits were distributed at PROJECT RE_ at an event where students held installation workshops with the residents receiving kits. This gave residents a chance to do a trial run of kit installation, lessening the pressure on them when they install the kits in their own homes. 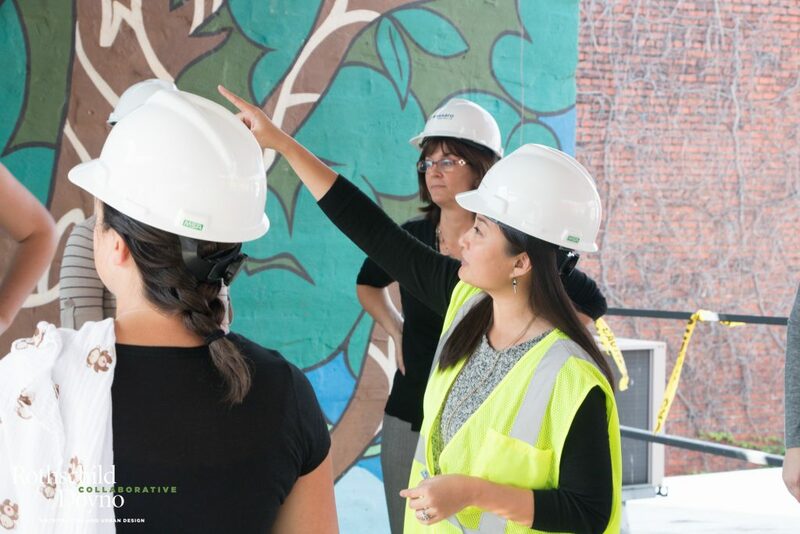 Brenna Martin-Shaffer (gesturing), along with the construction team, leads a community tour of the Midwife Center during construction. Photo: Rothschild Doyno Collaborative. Architecture reflects the values of the culture from which it rises, echoes ideals past, and offers optimism for the future. An evidence-based approach emboldens architects to step confidently into the future and position our unique skill-set to improve human experiences, grow intelligent communities, and nurture natural systems. This transdisciplinary approach lives at the confluence of disciplines and encourages innovation by engaging meaningful dialogue and encouraging the emergence of a professional culture rooted in solidarity and collaboration. I look forward to advancing a co-creative process that empowers an equitable future in which all can thrive. The Midwife Center for Birth and Women’s Health at 2831 Penn Ave., Strip District, Pittsburgh, PA, 2017. Image: Denmarsh Studios. 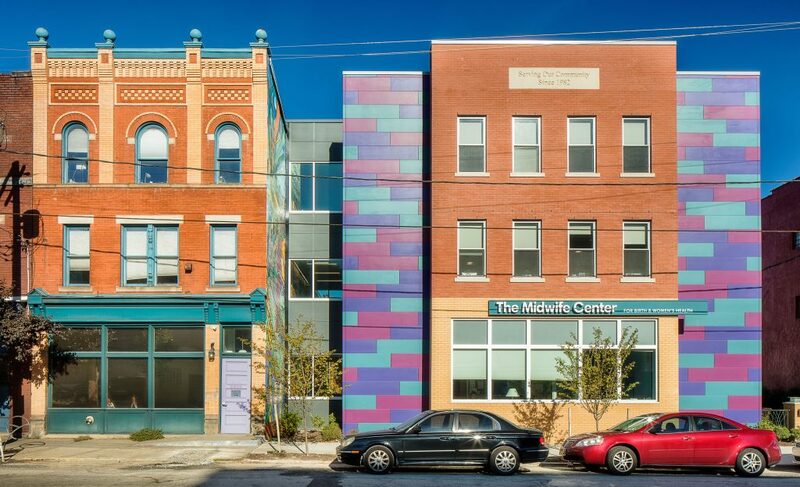 Featured Project: The Midwife Center for Birth and Women’s Health at 2831 Penn Ave., Strip District, Pittsburgh, PA, 2017. Project Architect/CA Coordinator at AE Works, Ltd. The most rewarding part of my work is seeing an idea come to life. I am so passionate about giving people beautiful spaces where they feel safe like their needs have been considered, and there is a place in this world for them. I find joy in the whole design process, being especially purposeful about everyone feeling heard at every step along the way. But the very best part for me is the construction and initial occupation. I love all the raw messiness of construction that comes while a building is being birthed. I also love that moment when the end-users get to see all their ideas and input revealed in the final space. They see the magic of transforming words and images into a tangible reality. We’ve all toiled away together for months or even years to create these incredible spaces. At that moment, it often comes down to a deep feeling of relief and joy for what we’ve accomplished and the unspoken idea that this new thing is instantaneously part of our shared past, present, and future. 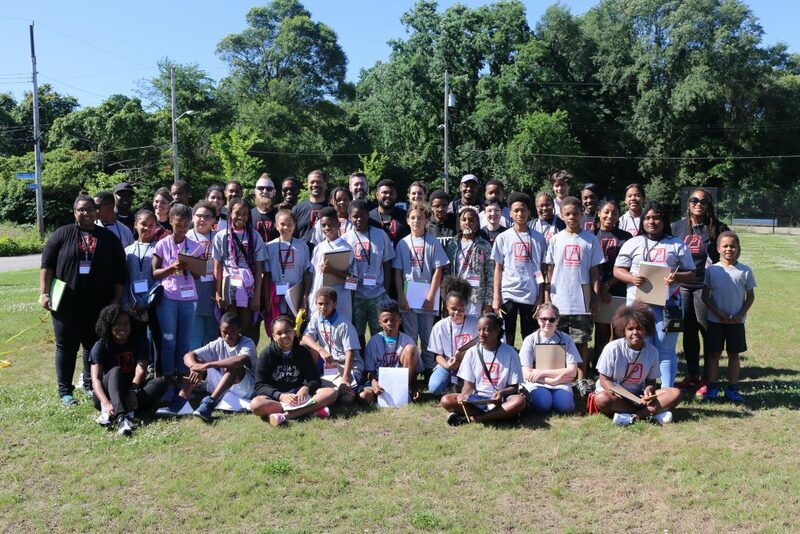 Project Pipeline Summer Architecture Camp, 2018. Image: Riccardy Volcy. 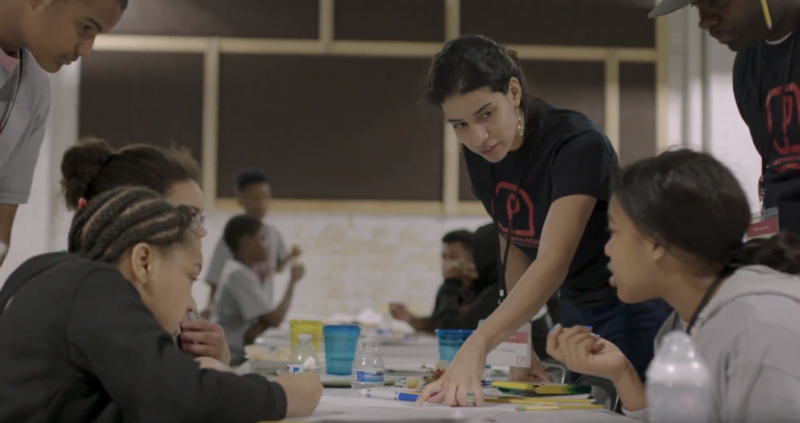 Featured Project: I am extremely proud to be a founding member of NOMA PGH and to have witnessed our incredible growth over the last five years with soaring membership, community partnerships, and Project Pipeline youth mentoring workshops. I have done quite a bit of work at the Erie VA Medical Center which makes me proud all around, but mostly because of its positive impact on the veterans, families, providers, and staff and their daily experience at the facility. I designed a new front vestibule, new cafeteria space, new behavioral health building façade, and vestibule and assisted with several other projects including a new radiology suite and emergency power building. My mentor always encouraged me to dive into whatever scared me the most and that once I conquered it, I would be invincible. It tapped into my love of superheroes and I was instantly hooked. Alyssa Mayorga, CMU NOMAS president, and NOMA Competition Coordinator giving a presentation to a group of interested students. Image: Tanvi Harkare. As this year’s president of the Carnegie Mellon chapter of the NOMAS, I have had the pleasure of working alongside a diverse and high-achieving group of students. Now more than ever, universities are including women and minorities in their schools of architecture. However, there lies an issue in retention post-graduation. Statistics on representation are disheartening. Architecture’s inaccessibility to women and people of color is diminishing the potential of the field. Through my presidency, my goal has been to encourage, expose, and value the students of color in Carnegie Mellon’s School of Architecture and to guide them to achieve in the architecture community post-graduation. Water Communities on Sixmile Island, Sharpsburg, for a studio-based design project, unbuilt, 2018. Image: Alyssa Mayorga. Featured Project: Water Communities on Sixmile Island, Sharpsburg, for a studio-based design project, unbuilt, 2018. 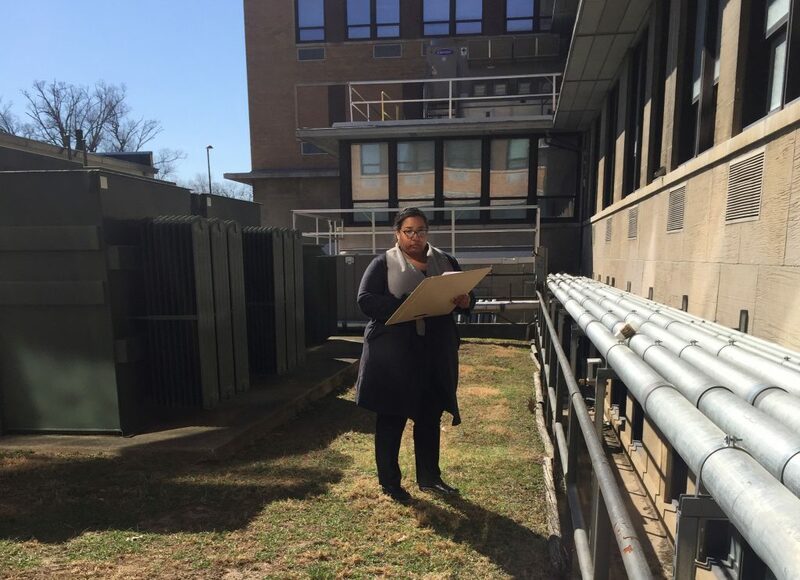 Cat Adams, AIA, participating in a charrette for the RIDC Master Plan project. Photo: Adam Warner. Project Architect at IKM Inc.
How has practicing in Pittsburgh shaped your career? If I’ve learned anything about practicing in Pittsburgh, is that it’s impossible to be isolated. There are many overlapping communities and priorities, all eagerly pursued by friendly, committed individuals. From the design community to sustainability to mentorship, there’s no end to the opportunities to grow and learn. My experience with the AIA Leadership Institute expanded my peer circle. I found a home in the sustainability community with the Green Building Alliance, where being the Emerging Professionals Committee chair has been a thoroughly rewarding experience. 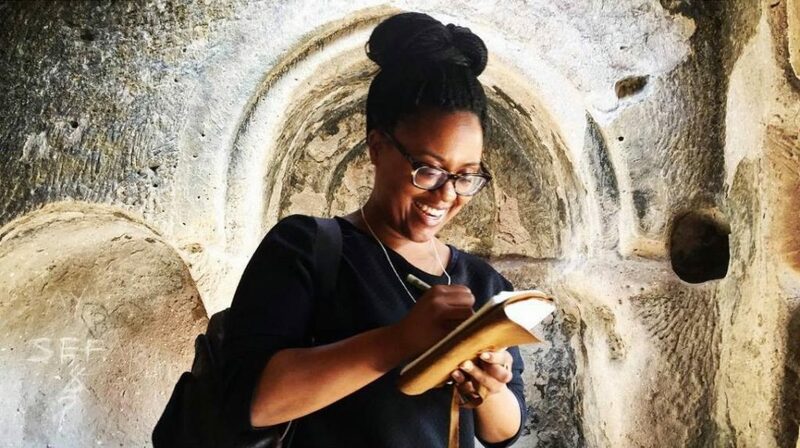 Ashleigh Walton sketching in Turkey. Photo: Ariana Cunningham. Mentorship in all its forms and thinking with my hand (sketching). I became an architect because I loved to draw, but I wanted to teach first. I love to talk about architecture and cities with students from elementary to college, who all bring different perspectives. Involving young people in public engagement, which is a constant part of my work at UDA, makes you see things differently. You can watch understanding emerge from a sketch with people of any age. Drawing is one of the earliest things we do, but often one of the first things we abandon. 7800 Susquehanna Street Neighborhood Master Plan, Homewood, Pittsburgh, PA (Unbuilt master plan). Image: Urban Design Associates. 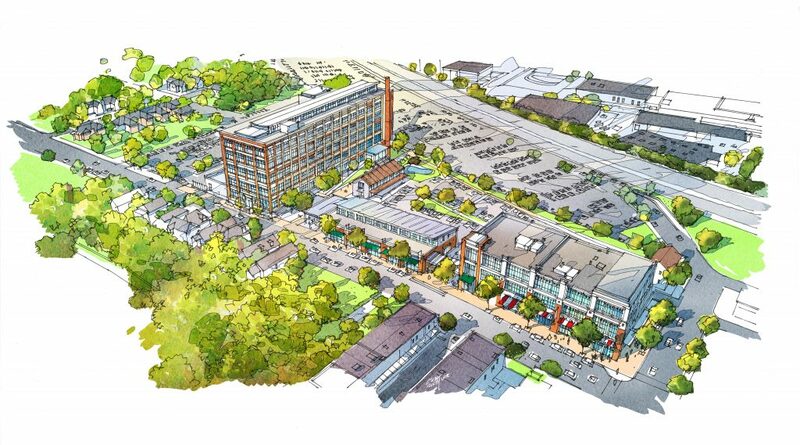 Featured Project: 7800 Susquehanna Street Neighborhood Master Plan, Homewood, Pittsburgh, PA (Unbuilt master plan). Architecture is my advocacy and activism. My client is humanity, and our human societies and communities are fragmented. Architects and future architects have the ability to respond to the humane need for authenticity, relationship, togetherness, inspiration, and shelter. We are equipped to create and conserve the social and communal value of local neighborhoods. As a future architect, I am driven by architecture that inspires humankind, impacts how we live, and influences the spirit of place. The Corner, West Oakland, Pittsburgh, PA, 2018. Photo: Lakeisha Byrd. 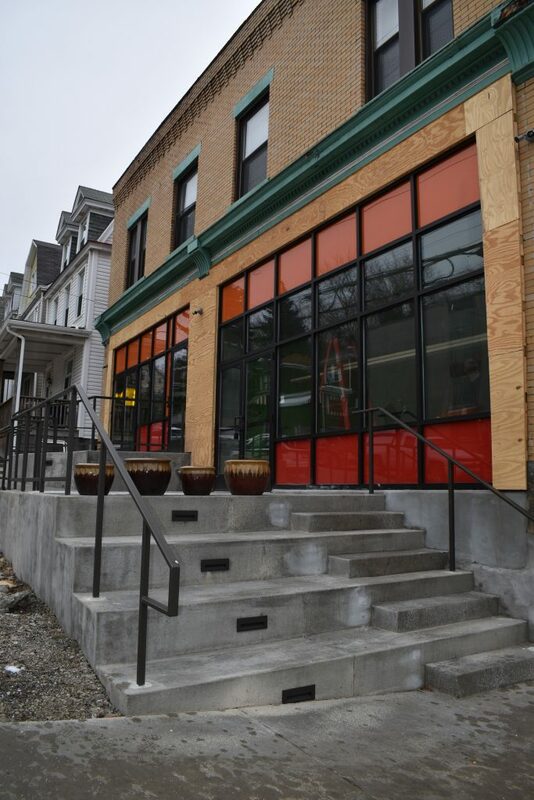 Featured Project: The Corner, West Oakland, Pittsburgh, PA, 2018. 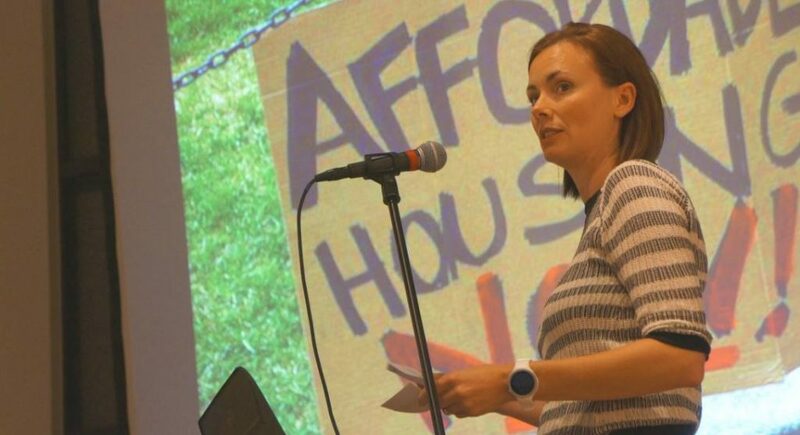 Amanda Markovic, AIA, speaks during a PechaKucha at Pittsburgh’s Trust Arts Education Center, 2017. Photo: Greg Coll. I am driven to create transformative design solutions that are informed through a deep understanding of the people and community that they serve. Spaces shape our lives; they have the ability to evoke curiosity, inspire joy, enhance interaction, and improve our wellbeing. Our focus for the Blueprint for Better Communities initiative aims to bring awareness to our community and leaders, that these qualities of space should be considered a basic need for all, not just an amenity. Carnegie Library of Pittsburgh, Beechview; 1910 Broadway Avenue; 2015, Image: Ed Massery.